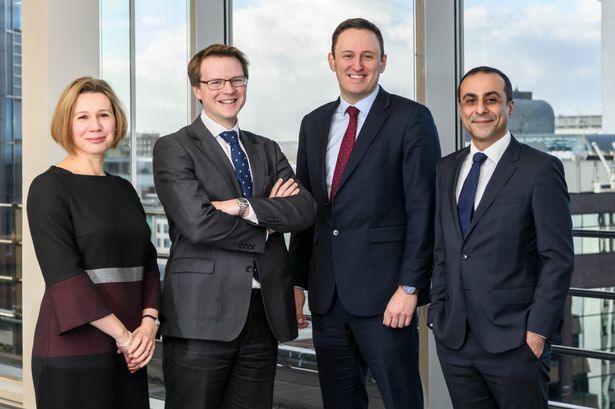 Financial services firm EY has boosted its senior team in Birmingham with the promotion of four new directors. Hannah Griffin works in the forensic and integrity services team, having been with the firm seven years, and specialises in litigation support services. She acts for both claimants and defendants through litigation, arbitration and mitigation processes. Kyri Papathomas has been with EY for 15 years and is a member of the restructuring team. He advises under-performing and distressed businesses and their stakeholders to protect and preserve value, with a particular focus on supporting mid-market companies. Ben Collins works in the transaction advisory services team, having joined as a graduate 11 years ago, and specialises in utilising data analytics to support mid-market clients undergoing a sale, refinancing or acquisition process. Completing the director promotions is James Golder of the assurance division. He also joined as a graduate, 13 years ago, and specialises in working with hospitality, retail and private equity-backed companies. Simon O&apos;Neill, managing partner in Birmingham, said: "It&apos;s a pleasure to see people develop their skills and build their careers at EY. "Hannah, Kyri, Ben and James will all play vital roles in supporting companies in the region to grow and thrive. "The Midlands is a wonderful place to live and work and it is important to show people who are thinking about where they can build their careers, what can be achieved right here in our region."